The location in the old city the and "modern" old world charm were great. It was very quiet and looked out onto a green courtyard with good light. The bed was quite comfortable and the room was very spacious. But there were a few issues... a blown fuse was attended to promptly. Excellent property, very cosy and atmospheric. Fantastic location everything you need right on the doorstep and only a short walk to most major attractions. Marianna was very accommodating and hospitable. The location was excellent. beautiful old building. 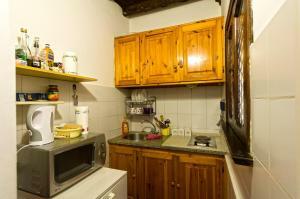 The location of the appartment is excellent and the size very good for a couple. The general decoration is quiote good, too. The person in charge was very friendly and helpful. Great location ! 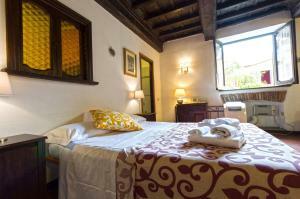 Close to historical Rome and fun nightlife area . A few steps to lively Campo di Fiori gives chic and comfort feeling. 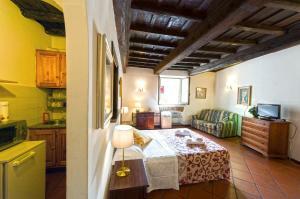 The apartmant is very autenthic, elegant , spacious, comfortable, neat and clean. Marianne is punctual, caring and pleasant hostess. We strongly recommend the apartment. Très bien placé, à deux pas de Campo di Fiori. Appartement très propre. 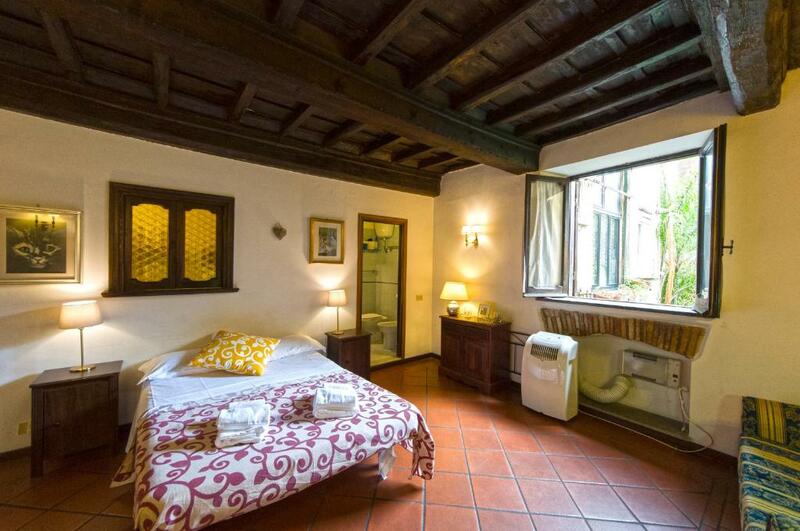 Lock in a great price for Appartamenti del Campo – rated 8.5 by recent guests! 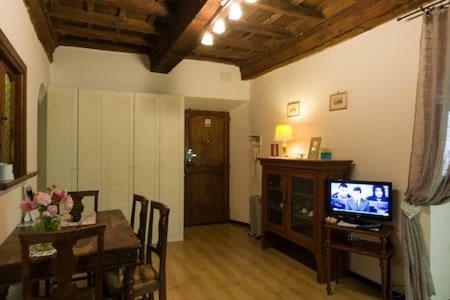 Located in a central area in Rome, 350 feet from Campo de’ Fiori square, Appartamenti del Campo offers elegant apartments with air conditioning. 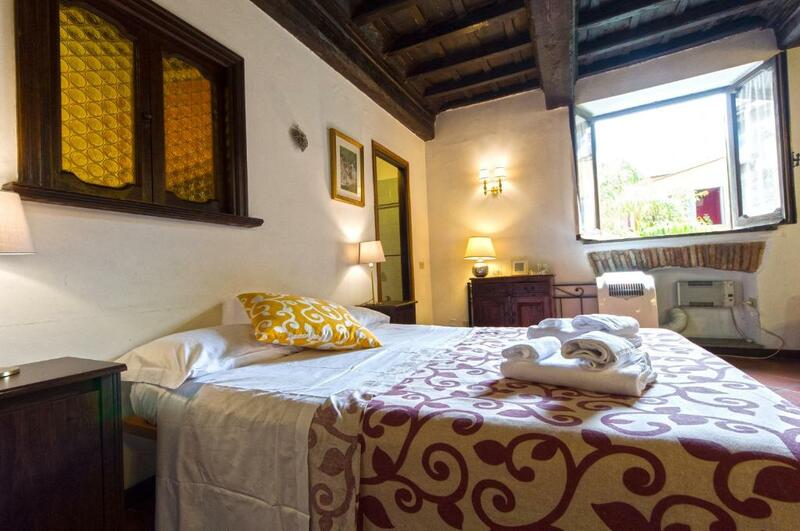 With free Wi-Fi, it is 5 minutes’ walk from Piazza Navona square. Each studio has wood-beamed ceilings and a bathroom with a hairdryer. Some have parquet floors. 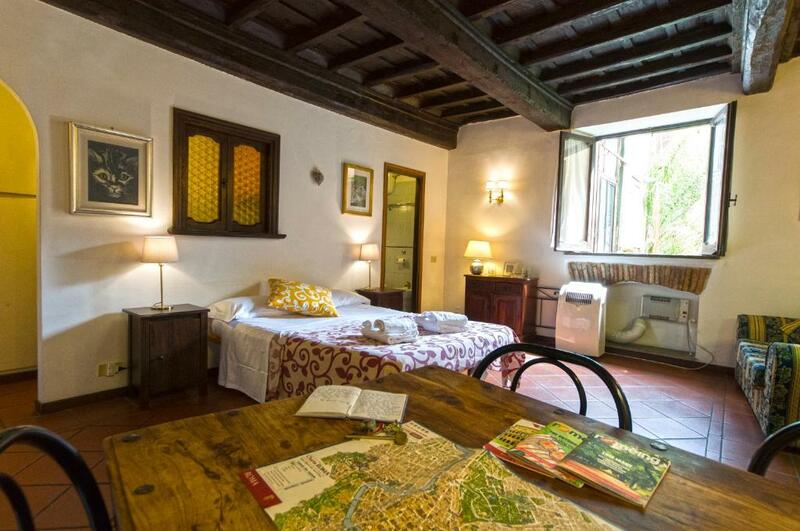 A bus stopping 1,000 feet from Appartamenti del Campo takes you to Termini Train Station. Castel Sant’Angelo can be reached in a 10-minute walk away. 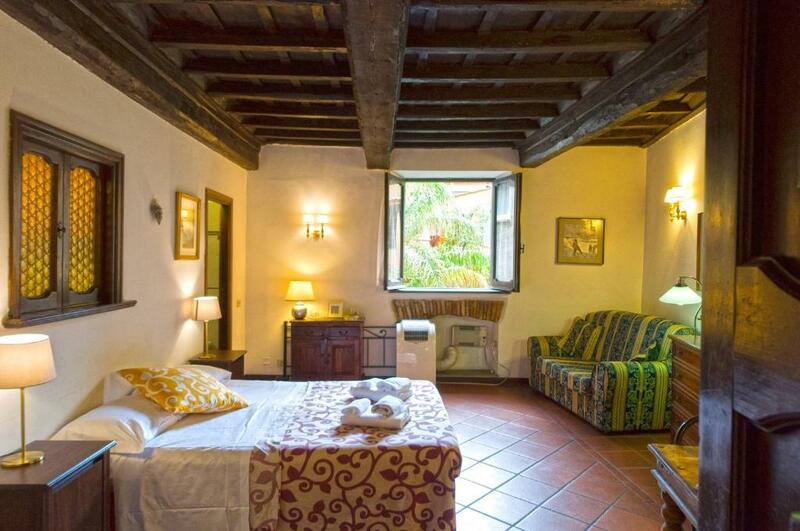 When would you like to stay at Appartamenti del Campo? 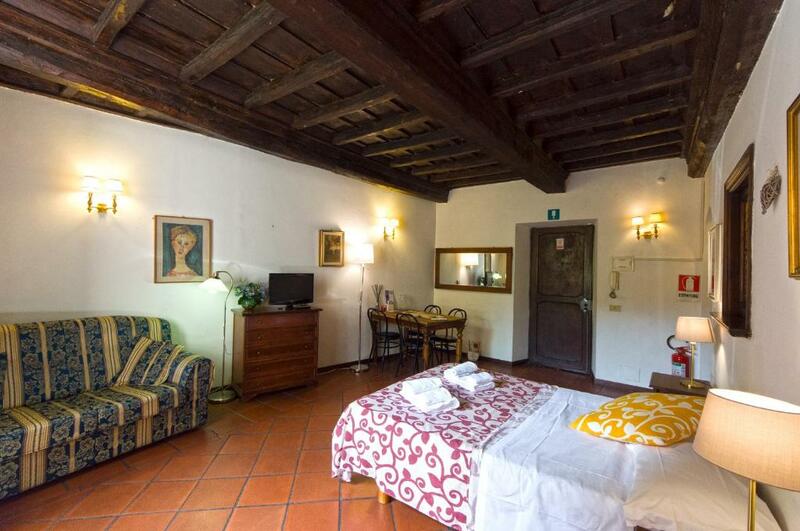 Elegant apartment with air conditioning, free Wi-Fi and wood-beamed ceilings, while some have parquet floors. The bathroom comes with a hairdryer. Please note that the apartment is located on the 1st floor with no elevator. This apartment features a stovetop, dining area and microwave. House Rules Appartamenti del Campo takes special requests – add in the next step! One child under 4 years is charged EUR 35 per stay in a crib. Appartamenti del Campo accepts these cards and reserves the right to temporarily hold an amount prior to arrival. Please note that bed linen and towels are changed weekly. A surcharge of EUR 25 applies for arrivals outside check-in hours. All requests for late arrival are subject to confirmation by the property. Please inform Appartamenti del Campo of your expected arrival time in advance. You can use the Special Requests box when booking, or contact the property directly using the contact details in your confirmation. As regards location of apartment I was a bit surprise that in the downstairs of the house there was a private club so especially one night there was quite noisy in the evening. I was not also totally happy with the bad that has not much comfortable (due to very soft mattress). Before my arrival I was told by email that I had not paid. I had paid and their error was not promptly corrected and this caused undue panic for me. Contacting by email before arrival was slow and not easy. There was no phone number for me to call to straighten things out. The alleyway entry was awful: poorly lit, filthy, and dangerous looking. It is a shared dead end "alley" but the various owners should pay for better lighting and cleaning. The first floor hallway and vestibule lighting were also inadequate. The apartment A/C was new but noisy, it should be a modern wall mounted quiet unit. This was a floor unit which was noisy. The electrical wiring was inadequate for running a few appliances at one time (running the A/C and the stove top for coffee blew a fuse!). The shower and toilet need to be replaced with new equipment. A few more lights would be useful. For the money it could be more luxurious. A few gorgeous tiles and a few upgrades would do the trick but I would not want it to be overdone with unnecessary and flashy "luxury". Not really problems at all, but the shower was tiny, otherwise the bathroom was fine. And there was only one small window. You won't be spending much time inside though, so no worries. The mattress was far too soft.